Their paper makes a comparison between using social media or traditional Course Management System (CMS) discussion groups in a fully online Principles of Microeconomics course. Students were randomly assigned to a discussion forum in either Facebook or CMS to discern a difference in the level of engagement and learning outcomes. 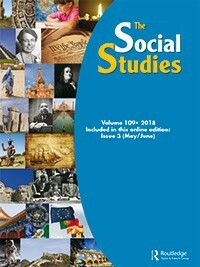 The popular hypothesis is that students using social media have greater engagement with the class and higher learning outcomes relative to students using a CMS platform. Reasons for the positive effect include the ease of use and student familiarity with social media, which allows them to make more connections and gain a deeper understanding of the course material through discussions with others. Contrary to the widely held view, the results of this study suggest that participation in the treatment Facebook group is associated with declining student engagement and a reduction in the semester course average of 3 to 5 points on a 100-point scale. 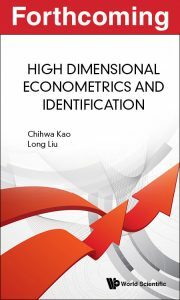 High Dimensional Econometrics and Identification, by Professor Chihwa Kao and co-author Long Liu, will be coming out in May. In many applications of econometrics and economics, a large proportion of the questions of interest are identification. An economist may be interested in uncovering the true signal when the data could be very noisy, such as time-series spurious regression and weak instruments problems, to name a few. In this book, High Dimensional Econometrics and Identification, we illustrate the true signal and, hence, identification can be recovered even with noisy data in high-dimensional data, e.g., large panels. High-dimensional data in econometrics is the rule rather than the exception. One of the tools to analyze large, high-dimensional data is the panel data model. High Dimensional Econometrics and Identification grew out of research work on the identification and high-dimensional econometrics that we have collaborated on over the years, and it aims to provide an up-to-date presentation of the issues of identification and high-dimensional econometrics, as well as insights into the use of these results in empirical studies. This book is designed for high-level graduate courses in econometrics and statistics, as well as used as a reference for researchers. Readership: Graduate and researchers in the field of econometrics and economics. The full paper was published last month in the American Economic Journal: Applied Economics. 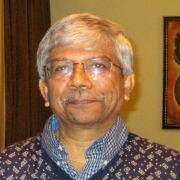 Professor Subhash Ray’s paper THE TRANSFORMATION FUNCTION, TECHNICAL EFFICIENCY, AND THE CCR RATIO is forthcoming in a special issue of European Journal of Operational Research commemorating the introduction of Data Envelopment Analysis (DEA) into the Operations Research/Management Science literature forty years back by Charnes, Cooper, and Rhodes (CCR). European Journal of Operational Research is a highly rated peer reviewed journal with an impact factor of 3.426 and a 5-year impact factor 0f 3.96. DEA is a nonparametric method of evaluating productive efficiency without assuming any explicit production, cost, or profit function. It is particularly useful for benchmarking the performance of non-commercial organizations like schools, hospitals, police departments, etc. Professor Ray has been an active researcher in this area for decades and is internationally recognized for his book Data Envelopment Analysis written from the viewpoint of neoclassical production economics. Published in 2004 by Cambridge University Press, it continues to be a major reference/textbook for serious researchers. In 2016 he received the W.W. Cooper Lifetime Contribution Award from the International DEA Society (iDEAs). Professor Ross, with coauthors Billing and Deming, finds strong evidence of very localized neighborhood effects in both the commission of crimes and the creation of criminal partnerships among older teenagers and young adults (within 1/2 KM). These localized effects appear to facilitated by relationships created within schools, and do not exist between youth who live very close to each other, but were resided on opposite sides of the same school attendance zone. Dr. Smirnova’s article “Teaching Money and Inflation Across the Curriculum” came out online on January 2 in The Social Studies, a peer-reviewed journal that publishes articles of interest to educators at all levels. The article describes the outcomes of a program for K-12 teachers that she created while serving as Director of Education at the American Institute for Economic Research (AIER). The program uses the Economics-Across-the-Curriculum approach which encourages the integration of economic concepts into various disciplines. Dr. Smirnova has long been an advocate for bringing economic and financial literacy education to a wider audience. This publication is her fourth in the series of articles describing the impact of this unique approach on knowledge acquisition and showcasing creative lessons that were field-tested by teachers. In her articles, she demonstrates that any subject area can be a fruitful ground for the infusion of economic concepts and for making lessons relevant and meaningful to students. This latest publication features several lesson ideas for teaching about money and inflation to high-school students. These lessons were incorporated in algebra, American history, and Spanish language classes. The main beauty of the lessons presented in the article is the empowerment of students to apply economics to their everyday life. The article also presents details on how to setup a professional development workshop for teachers and how to inspire them to create and field-test an economic concept integration idea. Professor Alexander Vaninsky, a long-time economics instructor at the Stamford Campus, recently published the article “Energy-environmental efficiency and optimal restructuring of the global economy” in the journal Energy (June 2018). The paper discusses the opportunities for economic restructuring, including the redistribution of population, means of production, energy consumption and greenhouse emissions, resulting in optimal increase in the energy-environmental efficiency. The paper utilizes stochastic data envelopment analysis with perfect object that the author developed in his previous publications. A computer program supporting the computations is published in a separate related article in the Data in Brief journal (August 2018). The primary objective of this study is to investigate the opportunities for economic restructuring, resulting in an optimal increase in the energy-environmental efficiency of the global economy. A novel stochastic data envelopment analysis with a perfect object method (SDEA PO) constitutes the methodology of the research. We equip SDEA PO with the projected gradient of the efficiency score. We employ the indicators of the gross domestic product (GDP) and carbon dioxide emissions (CO2) as output and undesirable output, respectively, and population and clean energy consumption as input and undesirable input, respectively. By using the SDEA PO, we obtain a group efficiency score for the global economy; the projected gradient identifies the direction of optimal economic restructuring. The indicator-wise components of the projected gradient determine locally optimal changes in the shares of each economy, serving particular goals. We use a factor analysis technique to aggregate them into one factor vector that determines the multicriteria optimal structural change. The factor vector determines the redistribution of the GDP, clean energy consumption, CO2 emissions, and population, leading to the maximum possible increase in the energy-environmental efficiency. The suggested approach may be used as a tool for decision-making in a variety of two-tier economic systems. Professor David Simon and PhD student Mark McInerney have published “The Earned Income Tax Credit, Poverty, And Health” with co-author Sarah Goodell. Professor Jungbin Hwang’s paper “Should We Go One Step Further? An Accurate Comparison of One-step and Two-step Procedures in a Generalized Method of Moments Framework”, co-authored with Yixiao Sun, has been accepted for publication in the Journal of Econometrics, one of the top scholarly journals in theoretical econometrics. The paper started as a third-year paper project when Professor Hwang was a graduate student in the University of California, San Diego. Professor Hwang’s paper provides an assessment of the merits of the first step GMM estimator and test relative to the two-step GMM estimator and test. The article shows the two-step procedure outperforms the one-step method only when the benefit of using the optimal weighting matrix outweighs the cost of estimating it. The qualitative message applies to both the asymptotic variance comparison and power comparison of the associated tests. According to the conventional asymptotic theory, the two-step Generalized Method of Moments (GMM) estimator and test perform as least as well as the one-step estimator and test in large samples. The conventional asymptotic theory, as elegant and convenient as it is, completely ignores the estimation uncertainty in the weighting matrix, and as a result it may not reflect finite sample situations well. In this paper, we employ the fixed-smoothing asymptotic theory that accounts for the estimation uncertainty, and compare the performance of the one-step and two-step procedures in this more accurate asymptotic framework. We show that the two-step procedure outperforms the one-step procedure only when the benefit of using the optimal weighting matrix outweighs the cost of estimating it. This qualitative message applies to both the asymptotic variance comparison and power comparison of the associated tests. A Monte Carlo study lends support to our asymptotic results. Professor Oskar Harmon and Robert Szarka (Visiting Assistant Professor, SUNY Oneonta) co-authored the article “Using Google Drawings to Create Homework Exercises” that appears as the lead article in issue number 2 (2018) of the Journal of Economics Teaching. The article shows how Google Drive’s Drawings tool can be used to create homework exercises suitable for both online and face-to-face classes. This approach allows students to create graphs actively “from scratch,” similar to the traditional pencil-and-paper approach, with a minimal investment of time and money. This could be a useful active-learning tool for online, blended, and traditional courses. The tools presented in the article have been adapted by the publisher TopHat in a recently published Principles of Micro/Macro online textbook.